The first Amazon Go location—which allows shoppers to grab snacks, premade meals, and other assorted sundries without interacting with a cashier—opened just over a year ago, and the brand has since expanded to 10 locations. 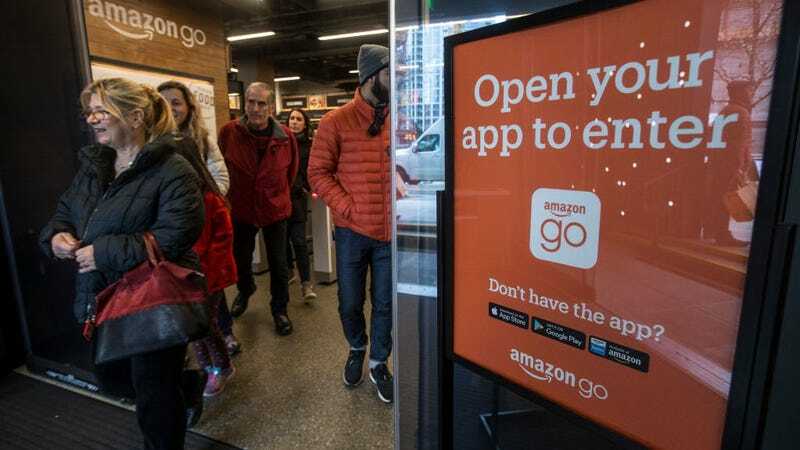 But as Amazon Go expanded, so too did local legislation initiatives necessitating stores’ acceptance of cash—a move meant to protect unbanked, lower-income customers who might otherwise be shut out from cashless shops. According to a recent Gallup poll, around 25 percent of shoppers still made all purchases in cash. New Jersey and Massachusetts both have laws on the books to that end; major cities like Chicago, San Fransisco, and New York are considering following suit. As to when Amazon Go stores will accept cash, it’s also as you would expect: Amazon declined to comment.